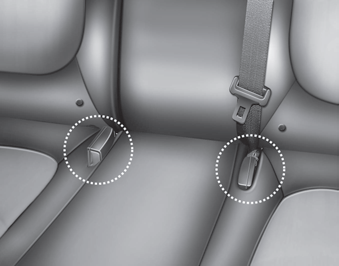 The rear seat belt buckles can be stowed in the pocket between the rear seatback and cushion when not in use. Routing the seat belt webbing through the rear seat belt guides will help keep the belts from being trapped behind or under the seats when they are folded down. Remove the seat belt from the guides before using. 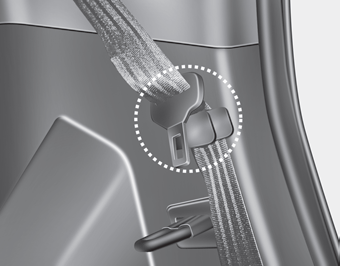 If you pull the seat belt when it is stored in the guides, it may damage the guides and/or belt webbing.